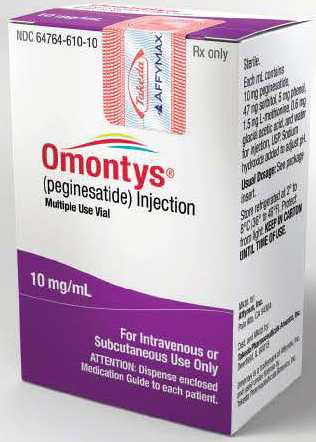 Omontys is an injectable drug used to treat anemia in dialysis patients with chronic kidney disease. The manufacturers, Affymax, Inc. and Takeda Pharmaceutical Company, issued a voluntary recall of all lots of Omontys in February 2013. The drug was recalled in response to reports of serious and potentially fatal hypersensitivity and allergic reactions, including anaphylaxis. The most serious complication of Omontys is anaphylaxis. Dialysis centers in the United States submitted 19 reports of anaphylaxis from Omontys, in response to which the FDA alerted health care providers about the recall. They warned that all Omontys treatment should be immediately stopped, and the drug manufacturers instructed that it should not be provided for any new patients. General hypersensitivity and allergic reactions occurred in patients as well. The complication is so severe that fatal reactions have been reported in patients following just the first dose of intravenous administration. Serious hypersensitivity, allergic reactions, and anaphylactic shock have occurred within just 30 minutes of administration of Omontys. Omontys is associated with other complications as well, although they are less prevalent than allergic reactions. Other complications can include adverse cardiovascular reactions, such as hypertension or stroke. Pateints may experience back pain and upper respiratory infections, as well. On February 23, 2013 Affymax, Inc. and Takeda Pharmaceutical Company voluntarily recalled all lots of Omontys. They also issued a letter to healthcare professionals instructing that no new or existing patients should receive Omontys. Since its launch, Omontys was administered to over 25,000 patients. The recall came after reports indicated that fatal reactions occurred in approximately 0.02% of patients following the first dose of intravenous administration. The rate of hypersensitivity reactions reached approximately 0.2%, a third of these cases being serious in nature including anaphylaxis requiring prompt medical intervention. What are the Criteria for Filing an Omontys Lawsuit? If you or a loved one were harmed by Omontys, you could be entitled to compensation from the manufacturers. There are certain criteria that must be met in order to file an Omontys lawsuit. Potential clients must have taken the recalled medication. If you have chronic kidney disease, you must have been on dialysis. We are no longer reviewing cases where patients experienced anaphylactic shock, but we will look into cases where patients experienced other injuries as a result of the medication. Injuries could include stroke, hypertension, and others. We will review these on a case by case basis. In most cases, lawsuits are filed when severe injuries result in hospitalization. Our award winning dangerous drug lawyers want to help you recieve the compensation you deserve for your injuries. Settlements often include compensation for your pain and suffering, as well as the medical bills incurred from treatment. 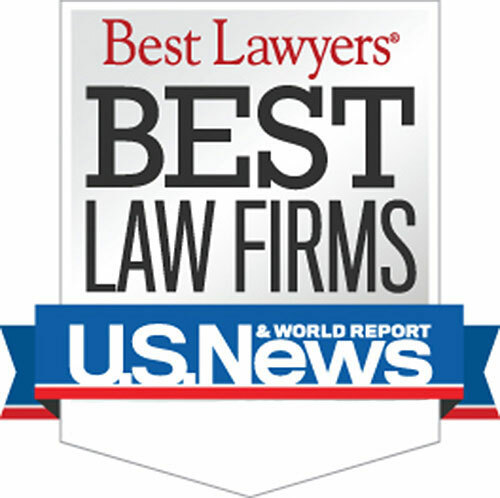 Who are the Best Rated Omontys Lawyers? WARNING: There are strict time deadlines for filing Omontys lawsuit claims. Contact our dangerous drug attorneys and find out if you are entitled to a settlement.